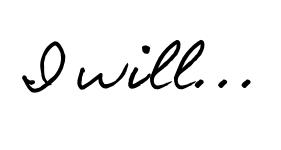 Welcome to my Pink Zebra Website! 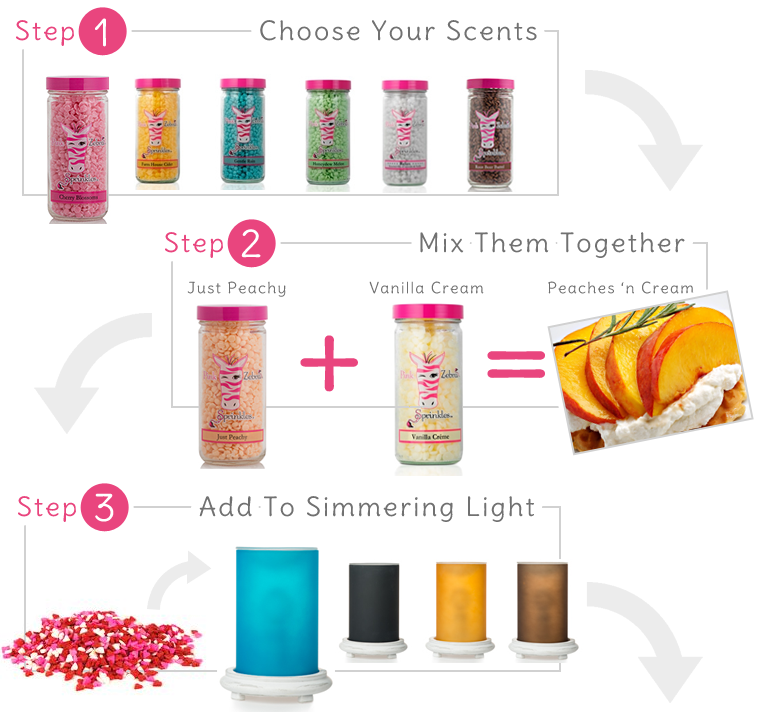 Pink Zebra Home is a direct sales company that lets you customize your own fragrance for your home! 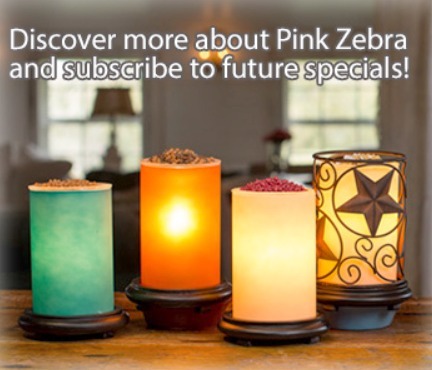 Whether you enjoy relaxing candles, the simplicity of reed diffusers, or flame-free options using warmers and simmer pots, Pink Zebra can accomodate any personal preference! 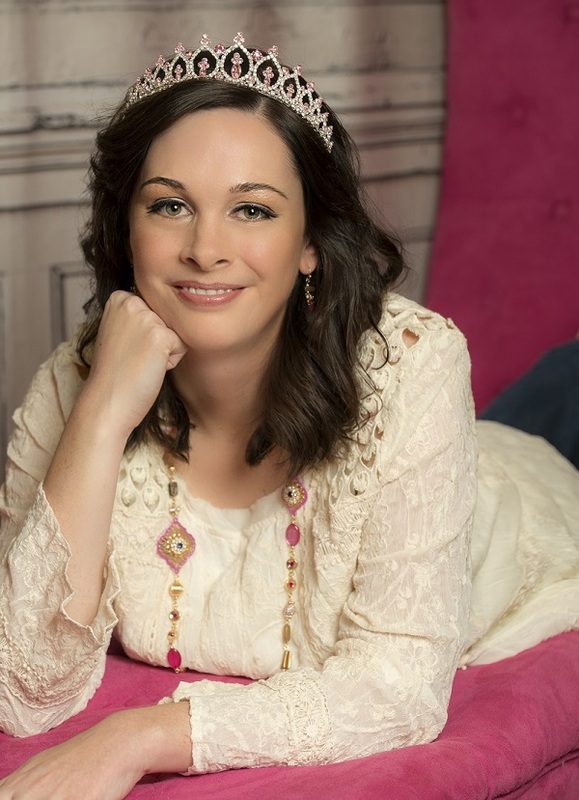 As a party plan company, Pink Zebra focuses on helping customers purchase products, earn rewards for hosting a party, or starting their own Pink Zebra business! The versatility and simplicity of Pink Zebra makes us unique and one of the best home fragrance companies in the direct sales industry. Personalize your home fragrance with Sprinkles, Pink Zebra's unique scented wax melts! They are perfect for using in our custom glimmer candles, simmering lights warmers, and simmer pots. Pink Zebra's Sprinkles are made in the U.S. from Soft Soy, a proprietary blend of soy wax and paraffin wax, to capitalize on the best performing components of each ingredient. Sprinkles maximize fragrance, last 30% longer than traditional wax products, melt and burn more cleanly and consistently, and are responsible, renewable, and sustainable.